GM foods affect the body much stronger than plants grown using pesticides, insecticides and other harmful chemicals. Prince Charles has a team of experts and scientists who are well aware of this issue. Moreover, Prince Charles is knowledgeable about the dangers of GMOs; he has his own organic farm in Gloucestershire where organic crops in accordance with the laws of nature and free from dangerous chemicals, such as pesticides, insecticides, various fertilizers, and so on are cultivated. Prince Charles challenges British government, urging to be scientific when it comes to security. Prince Charles rushed to the attack against GMO foods and the British government responded with annoyance and propaganda more actively than science. 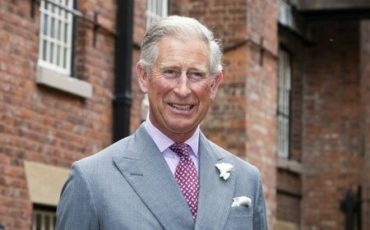 “In a recent “Daily Mail” article Prince Charles has tabled a series of questions about the safety of GM foods and criticized the lack of independent scientific research. He described as “emotional blackmail” myth that GM seeds offer a solution to the problems of hunger and promise to feed the growing world population”. Representatives of 20 African countries, including Ethiopia have published a statement in which they deny that gene technology can help farmers to produce the products they need. “They think it will destroy the diversity, local knowledge and well-established agriculture system and threaten our ability to feed ourselves,” said Prince Charles. A deep split has emerged within the British government following the statement of Prince Charles. Although the representative of the Prime Minister refused to be involved in a direct clash with the Prince, there was considerable dissatisfaction within the government, when he attempted to resume discussion of this question. The intervention of the Prince inflicted a crushing blow to government attempts to persuade corporations that their people will be forced to take untested and unreliable GMO seeds as safe. 10 important questions to the Prince. Do we need GMO seeds in our country? Charles: The benefit seems very limited and applies only to those people who own the technology and the people who are engaged in agriculture on an industrial scale. Are genetically modified foods harmful to human health? Charles: Only independent research carried out over a long period, can give a definitive answer to this question. Why the rules for authorization of GM food are less rigorous than for new drugs produced by the same technology? Charles: Medicines should be subject to strict inspections before entering the market. Of course, equally important that GM foods did not cause us any harm. How much do we actually know about the danger posed by GMOs to the environment? Charles: Laboratory tests showing that pollen from GM corn in the USA have harmed larvae of the Monarch butterfly, give rise to extreme anxiety. What’s even more disturbing is that the GM corn was not subjected to laboratory tests. Is sensible to plant test seed without strict instructions? Charles: These seeds are planted in this country now under the guise of free practice. But the “Nature” (British magazine) has convincingly proved that the first should be set stringent rules, secured legal sanction. How consumers are able to exercise real choice? Charles: It is obvious that the labelling programme should fulfil this role; however, if ordinary and natural seeds are contaminated with GM seeds, people who wish to avoid eating GM foods will be deprived of choice. If something goes wrong with GMO seeds, who will bear responsibility for it? Charles: It is very important that we know exactly who is going to answer for the damage caused to the environment and to human health. Whether GMO seeds are the only way to feed the growing world population? Charles: This argument I regard as “emotional blackmail”. What effect will have GMO seeds on people in the poorest countries? Charles: In those countries where people are starving, lack of food is hardly the main cause of hunger. There exists a need to create a sustainable livelihood for everyone. Will GMO seed help or will they only aggravate the problem? In what kind of world we want to live? Charles: Do we intend to allow the industrialization of life itself, remaking the natural world in favor of personal convenience? Or should we take a softer, more thoughtful approach, always finding natural ways of interacting with nature?